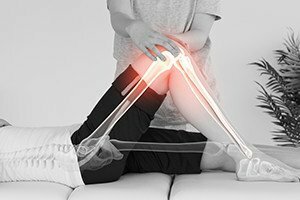 Knee injuries can be caused by multiple factors and may be extremely painful. Sometimes they are the result of cumulative trauma in a workplace that requires squatting or kneeling or lifting, while other times they are the result of a traumatic accident or an encounter with a hazard in the workplace. If you suffer a disabling knee injury on the job in Boston or the surrounding communities, the workers’ compensation lawyers at Pulgini & Norton may be able to help you pursue the benefits that you need. Many different industries carry a high risk of knee injuries, including construction, production, transportation, and moving occupations. In these industries, it is common for workers to move in and out of awkward positions rapidly. Workers may be completely disabled by a knee injury for months. People who are not in these industries may still be disabled due to knee injuries arising out of slip and falls caused by slippery substances on the floor and the like. The workers' compensation benefits to which you may be entitled are determined through a calculation of average weekly wage and degree of incapacity. It is common to believe that any preexisting condition is non-compensable. An insurer may argue that you previously suffered a knee injury or point to scans that show deterioration due to age. However, as long as the work-related portion of the injury is a major cause of the disability or need for medical care, it may entitle the worker to benefits. The employer is required to accept the employee as he or she is, and the entire disability will be work-related as long as the work was a major cause in aggravating the condition. Workers’ compensation insurers are required to pay for all medical costs associated with your knee injury, including hospitalization, x-rays, therapy, office visits, mileage, prescriptions, and surgery. Insurers tend to be resistant about paying for a knee or other joint surgery. In 1991, reform legislation was passed in connection with the Massachusetts Workers' Compensation system. The reform required the Department of Industrial Accidents (DIA) to implement a review and quality assessment program to see whether the medical services being utilized by workers were effective, appropriate, and necessary. The Health Care Services Board, made up of 13 members, was required to develop treatment guidelines for appropriate treatment of workers. These treatment guidelines are supposed to cover most of the tests and treatments for various conditions, including knee injuries. While the guideline is not supposed to substitute for medical judgment, it is used as a tool in how workers with knee injuries should be cared for. In some cases, doctors suggest knee surgery. An insurer may be resistant to paying for a surgery unless it is considered both reasonable and necessary. If an insurer is skeptical about a severe knee injury or the need for surgery, it may require a worker to undergo an "independent medical examination." In spite of the name of the examination, these are rarely truly independent. Instead, the insurer may retain doctors that it knows prefer conservative treatments or who frequently report that surgery is not necessary and the claimant is not as disabled as claimed. Having an experienced workers' compensation attorney on your side can make a difference in how an insurer approaches your knee injury claim. The knowledgeable workplace accident attorneys at Pulgini & Norton are able to represent Boston residents in seeking benefits for knee injuries or other job-related forms of harm. Call us at 781-843-2200 or contact us via our online form for a consultation. We also represent workers' compensation claimants in other Massachusetts communities, such as Andover, Medford, and Cambridge.